Dominion Day used to be a bank holiday in New Zealand. For the time being, it is celebrated in the region of South Canterbury as a Provincial Anniversary Day. The holiday is held on the fourth Monday in September. Dominion Day is the holiday commemoration of the formation of New Zealand as a Dominion of the United Kingdom. Dominions were autonomous polities within the British Empire that had complete self-government. In 1953, all the Dominions became Commonwealth realms. 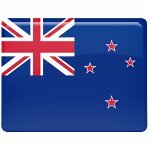 New Zealand became a Dominion on September 26, 1907 by proclamation of King Edward II. To mark this event, September 26 was declared Dominion Day. The celebration was never popular as many people thought the country had enough bank holidays already. Besides, when New Zealand became a Dominion nothing really changed except the name so people had no emotional attachment to the event. Dominion Day in New Zealand ceased to be a public holiday, but some people are convinced that it should be revived to substitute for the New Zealand's current national Day, Waitangi Day. Unlike Waitangi Day, Dominion Day has nothing to do with the violation of the rights of Māori, so it would make a much less controversial national holiday.